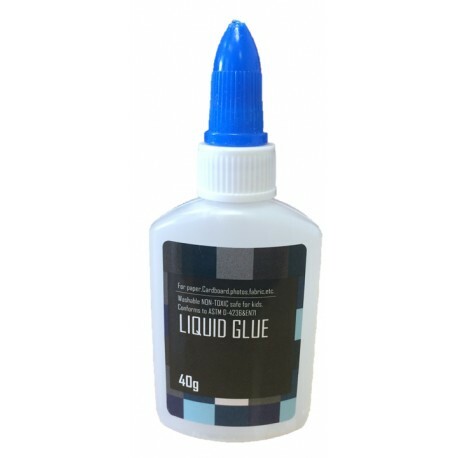 Top quality Glues from Impex. 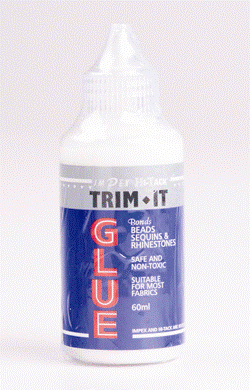 Fray Stop Glue. 60ml. Dries Clear. 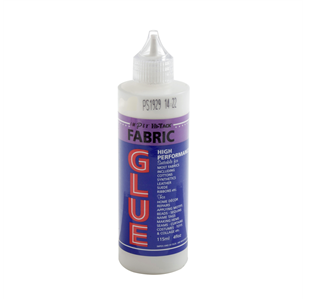 Stops Fabric Edges From Fraying. Can Be Used On Hems And Seams For Re-Inforcement. 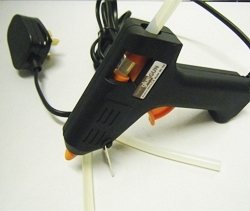 Point Glue Gun Comes With A Stand A Three Glue Sticks. 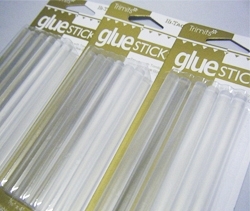 Glue Sticks. 12 Per Card. 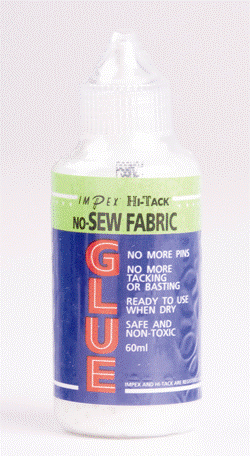 No Sew Glue. 60ml. Dries Clear. Saves Using Pins. No More Tacking Or Basting. School Glue. 115ml. Dries Clear. Ideal For Homework, Projects, Crafts, Felt, Sequins, Paper, Cardboard etc.